This is a huge recording project, the biggest I have ever attempted. Thirty two tracks comprising all sorts of moods and genres. But it’s happening very quickly. As I write this we have completed almost all the rhythm parts. 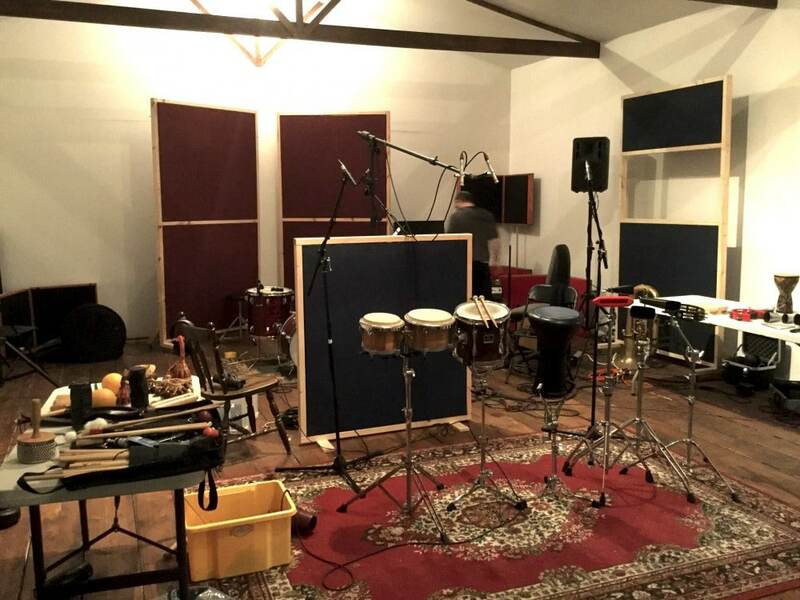 Three days for drums and percussion, two and a half for bass. All that’s left of this chapter is the overture and a few bits and pieces of punctuation here and there, then that’s the bottom end all sorted, so to speak. I can’t believe the pace of it all. I always like to work quickly once I get started on something (though admittedly I can sometimes take a while to get myself to the starting line), I really loathe it when things start to drag, all the energy goes. The last two Bedlam Six records were all done at lightning speed (the most recent only took three and a half days of recording – in fact, from setup to holding the finished CD in our hands, the whole process took less than a month). It’s a myth that albums have to take ages, perpetuated by spoilt lazy rock stars who like hanging around in expensive studios being fussed over by record companies). Of course, it helps collaborating with good people. Drummer Phill Howley and bassist Joel Roberts are great players to work with, especially on projects as schizophrenic as this one (both have been involved with many bands all across the genre spectrum so were well prepared for a mixture of styles). Phill is an absolute machine when it comes to keeping time and gets to grips with a song structure inordinately quickly; he’s also a really creative performer, putting his whole body into his playing, plus his percussion has a lot of humour in it – essential for a musical! 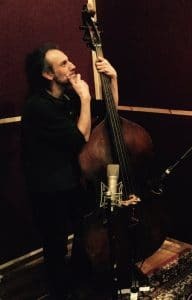 Joel is wonderfully intuitive when it comes to the emotional hues of his bass lines, very sensitive about what is required, knowing when to slink back into the shadows and when to step into the light. But what I didn’t realise was how much both of them would enjoy the project (some of the songs are so silly I had a lot of apologies ready well in advance) but both treated the more theatrical numbers with great relish. This could be because in the music industries (I use the plural because, really, it’s ridiculous to view this sector as a single entity) so many people see “cool” as the thing to aspire to. But cool is so boring, it was invented by pretty people who were too scared to enjoy themselves and somehow convinced/pressured everyone else into being bored and scared too. On this project there’s a lot of dark stuff but also a lot of light – tragedy and comedy – it’s really enjoyable working with people who give both the respect they deserve. After all, one could argue they’re the building blocks of the human condition. Both often bypass the conscious mind completely and hit you straight in the gut. And what else excels at going straight for the gut? Bass and drums. A musical project without a good rhythm section is doomed before it has even begun. So it’s a relief to have these two in my corner.